In order to explore the potential of code to communicate at the level of poetry, a call for submissions was open between the February 22nd and May 31st of 2012. The rules for submitting code poems were simple: (1) the poem having a maximum size of 0,5 KB, and (2) it required to compile. A total of 190 poems were submitted from 30 different countries. 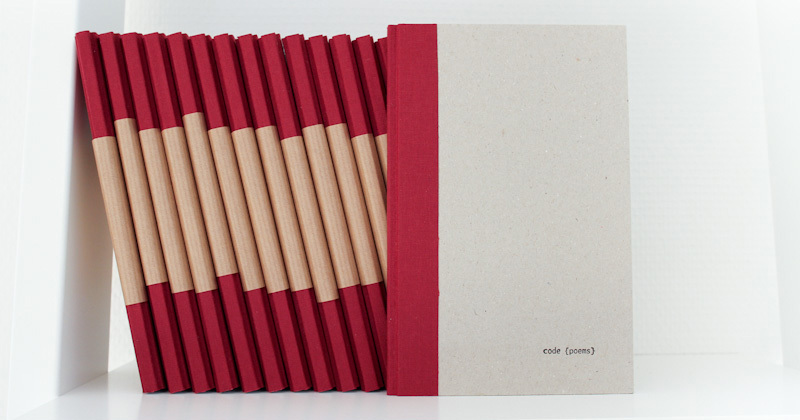 The code editors that collaborated on the project made the selection to be printed in this book, attempting to represent the variety and creativity of the submissions, as well as different approaches to code poetry.